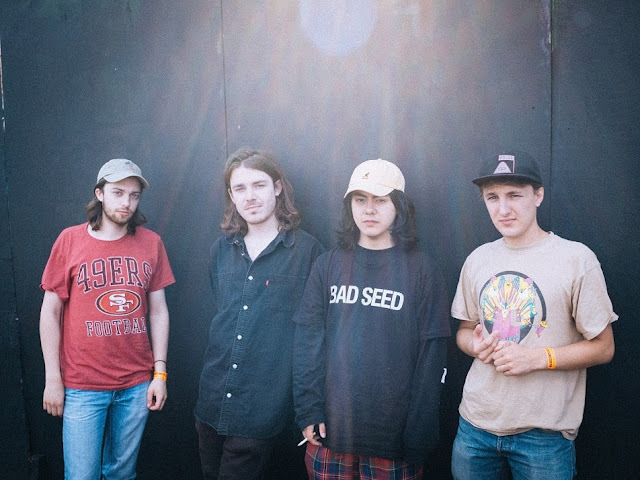 London shoegaze outift Honey Lung have unveiled their brand new single Stuttering Mind, a hugely infectious, reverb-laden number that follows their triumphant headline performances on the BBC Introducing stage at Reading & Leeds. I'm loving those guitars and the hypnotizing vocals. Produced by Michael Smith & Matthew Thomas, Honey Lung’s Stuttering Mind is released on September 29th and will be available on all platforms. Stream it below! The shoegaze outfit, composed of Jamie Batten (vocals, lead guitar), Charlie Gardner (guitar and synth), David Sherry (bass) and Omri Covo (drums), have already ignited widespread tastemaker support whilst backing on the airwaves from Huw Stephens (BBC Radio 1) and John Kennedy (Radio X) has ensured their profile remains rapidly on the rise. Having conquered the festival circuit over the summer with appearances at the likes of The Great Escape, the band’s finely crafted guitar work and sumptuous harmonies have strongly aided their blossoming live reputation and with a UK and European tour supporting Citizen next month, Honey Lung are set to take full advantage.